With the 5p carrier bag charge introduced this week, the search for the perfect reusuable bags is upon us and I have found just the thing to use in supermarkets. 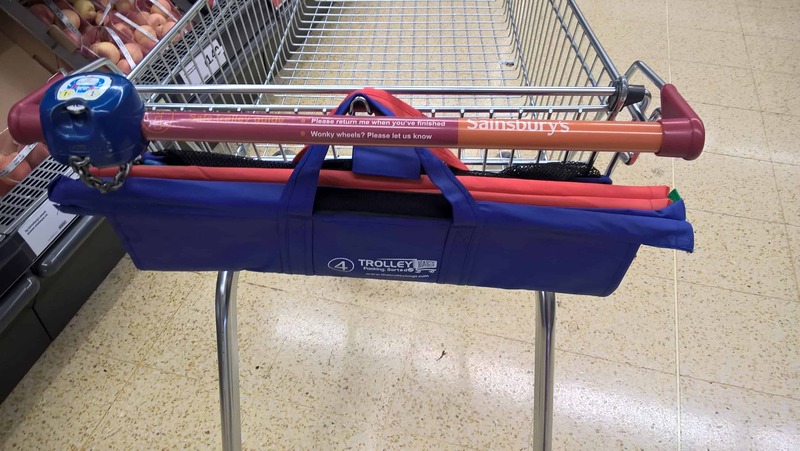 From the company Packing Sorted comes these rather clever Trolley Bags! 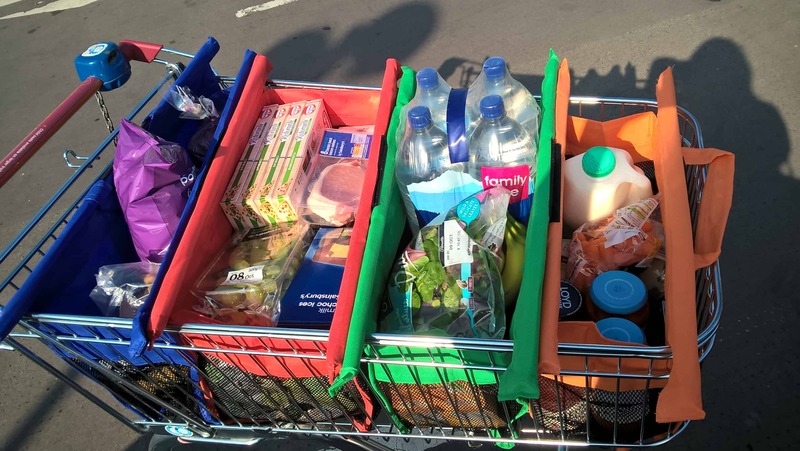 As you can see they fit perfectly in your trolley, meaning no wasted space and just four bags to lift out into your car. What’s more, they are all velcroed to each other at the top to stop them sliding apart until you need to remove them , but they also all roll up together for easy storage in your car boot between shopping trips. They are easy to carry into the supermarket as demonstrated by my 4yr old son on the left who loves to help out! 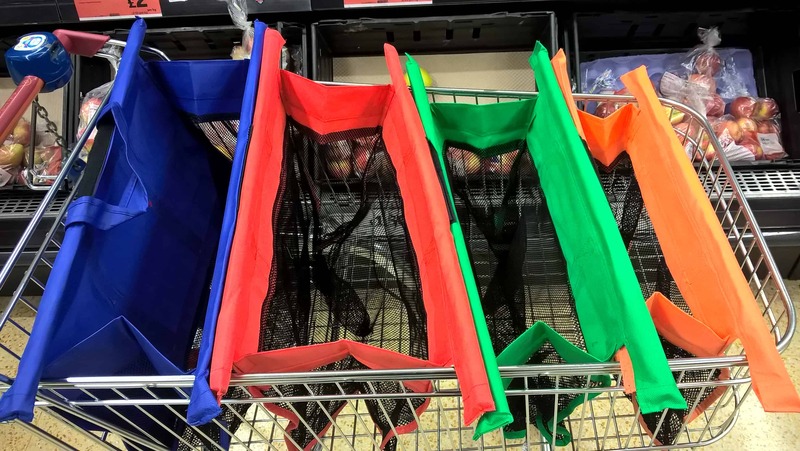 Then you simply hang them on the hook at the end of your trolley as above whilst you shop. If you are scanning your own shopping you can of course put the items straight into the bags otherwise keep them rolled up until you go through the till. The beauty of these bags are that there’s no messing around trying to open fiddly carrier bags, you simply place the bags at the end of the trolley and open them out to the end. They have velcro at the top to keep them together, which you then simply undo to lift them into the car. These really do make shopping so simple and are the perfect solution to avoid the carrier bag charge. These are built to last, fill the whole trolley and can be used time and time again. As you can see the ones above are designed for a shallow trolley but they do also make a set for a large trolley which you can see here. For one of my readers, I am giving away a set of Trolley Bags. All you have to do is fill out the Gleam form below. All reviews are my own and my family’s opinions and we received the shopping bags in order to write the review. Belo & Me have just the cutest little jute bags that are perfect for packing your lunch into to take to work or on a little picnic. The idea of using jute bags is an environmentally friendly one, rather than using endless plastic bags on a daily basis. The jute fibre is 100% bio-degradable and recyclable. 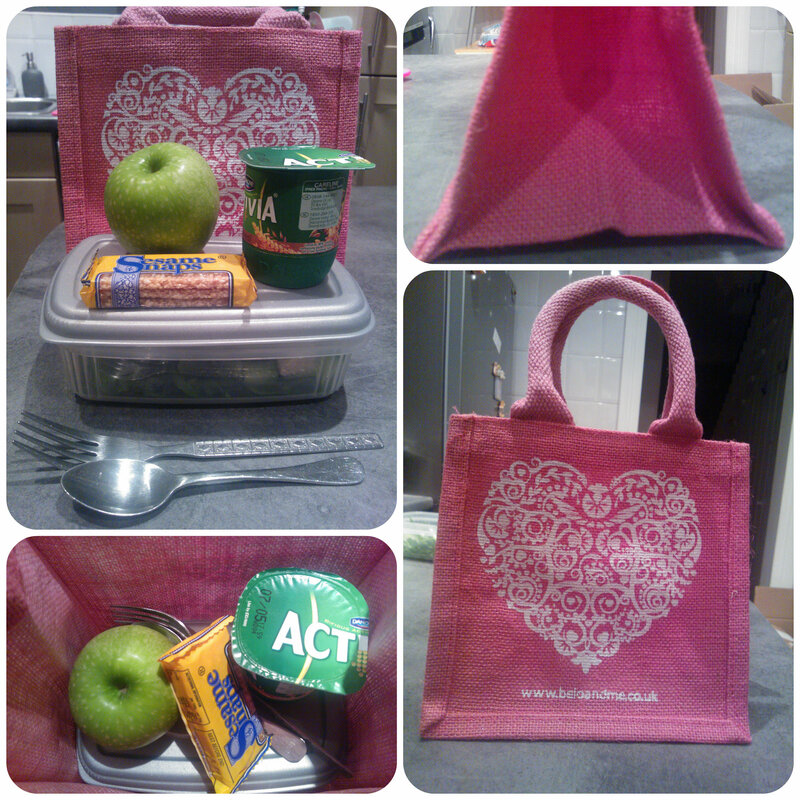 I was sent the pink heart jute bag to try out for my lunches at work each day. I have to be honest and say that I usually use a plastic food bag and although reuse it for a few days, it soon ends up in the bin and I reach for a new one out the box. The bag is made of a thick jute with strong handles and a laminated lining that can be wiped clean. 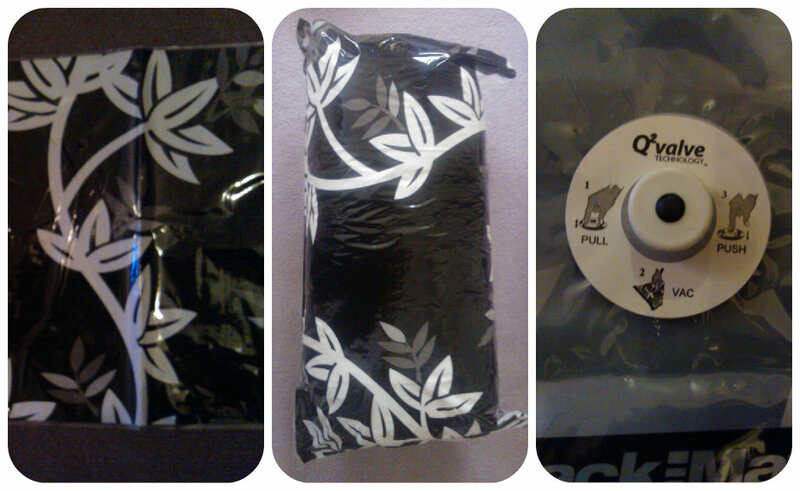 The base is 20 x 15cm and the side of the bag is 20cm high. I packed my normal lunch for work consisting of a salad in a plastic box and some other bits. The plastic box easily fitted into the base of the bag and the other items stacked on top nicely. 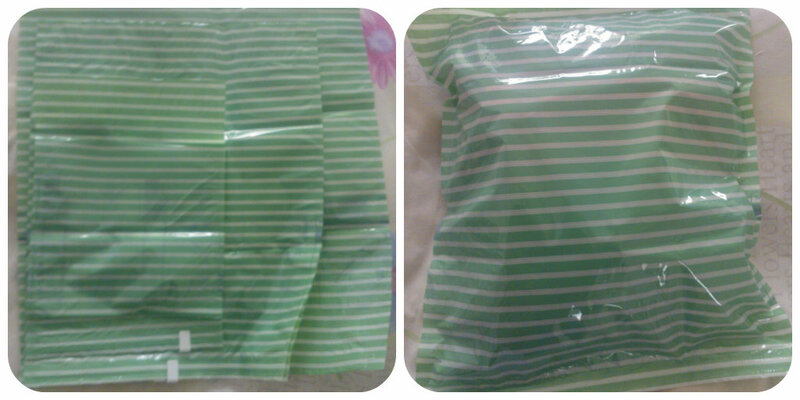 I was quite happy that all items were safely inside the bag and found it easy to carry to work alongside my handbag. I did get comments from everyone in the office saying “What a cute bag”, “Where did you get your bag from?” so it was definitely noticed and admired. I think this is a cute bag, great for the summer months although I’d need something a bit more protective in the winter. It’s great that it’s reusable and being strong will hopefully last. These jute bags aren’t just lunch bags, they can be used for anything, some suggested ideas on their website are party bags and gift bags etc. Why not check out the Belo & Me website and see the many different designs and colours available? 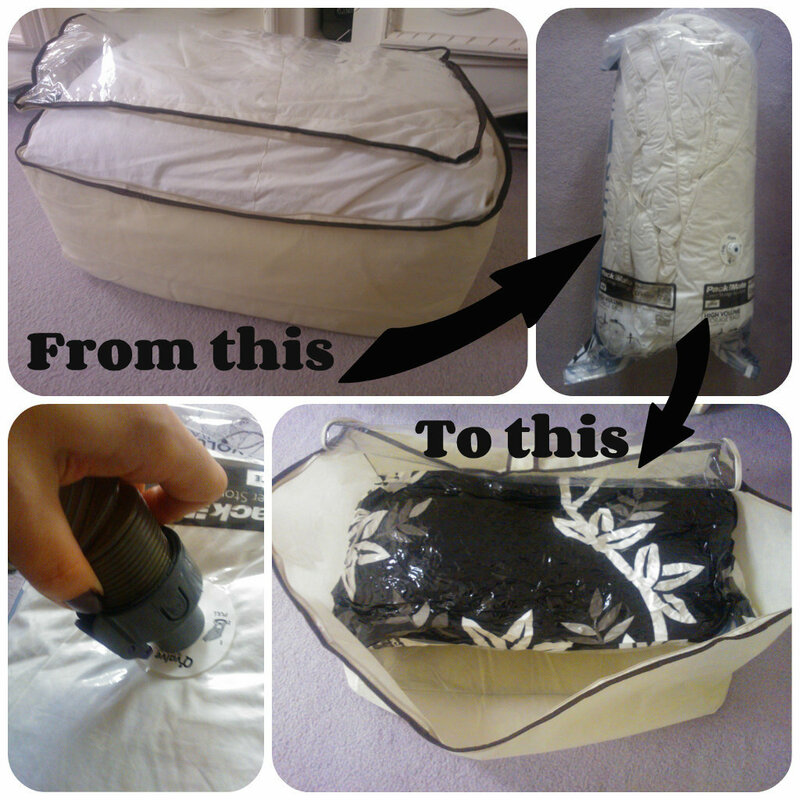 All reviews are my own and my family’s opinions and we received the bag in order to write the review.